Just wanted to put that there is a work around for Pokemon Go for Android Users. Download worked for me and I'm catching them all! I have a Moto X Play for reference. You just made my kids day! Hahaha, I just found out though that if your phone doesn't have a gyroscope. 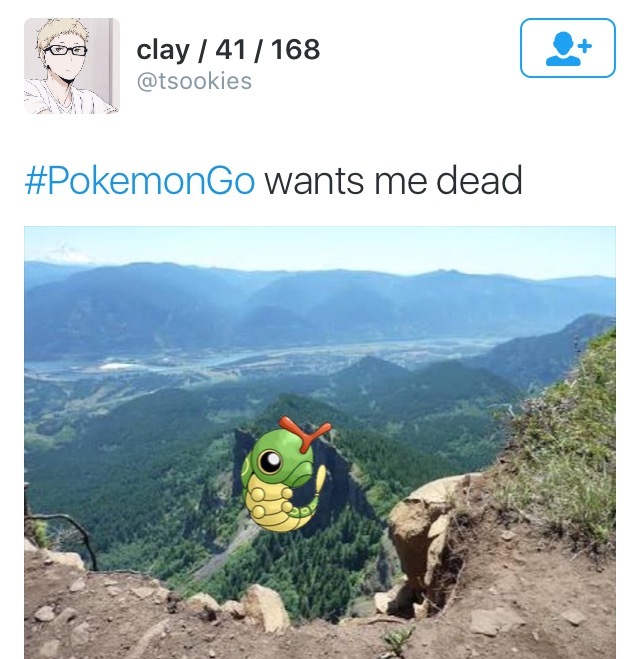 (like mine) I can't use the camera to see the Pokemon in real life Almost makes me want to upgrade my phone! I can't get it to work on my 6P. I think it's because I have the N beta. 2 guys at work were able to download on their Iphones by creating an Itunes US account and downloading from US itunes. It worked for both of them. When will it be available in Canada? They delayed it's release in Canada. Unknown so far. It's pretty cool but not having the AR (Artificial Reality) camera work on my phone is a little bit of a downer. It's neat that you have to move around to find objects or pokemon. Guaranteed to lower productivity at work.. I started with a New Zealand account, then switched to my US account this morning and everything stays linked to your pokemon account so don't worry about using a US account until it hits Canada. Its funny seeing how many people are out walking and playing. Great exercise I haven't walked this much ever. Just walked about 3km and caught 7 pokemon, now level 3. Weird part is I'm sad I'm not walking around finding more. But police in O’Fallon, Missouri say that four men have used the game to find players at a specific location, and robbed them using a handgun. About eight or nine people have been robbed by four men over the past couple of days, a spokesperson from the O’Fallon Police Department told Gizmodo over the phone. The latest robbery occurred Sunday morning at around 2am by the men in a black BMW before they were finally apprehended by police. What is this game? It seems to be all the rage but I'm oblivious. It is from Niantic, the makers of Ingress. Basically, you walk around town to certain landmarks and capture the pokemons through your phone. It uses GPS and your phone's camera to see the pokemons in the virtual world. I think it was based on an old Japanese children's television show that somehow also became popular in North America. According to security firm Proofpoint, via Motherboard, a version of the app infected with a malicious remote access tool (RAT) called DroidJack is making the rounds. It installs a backdoor granting full control of the Android phone to hackers. Do you do anything after you catch them? The fun of Pokemon to me was always training and battling, the catching was a more of a means to an end. 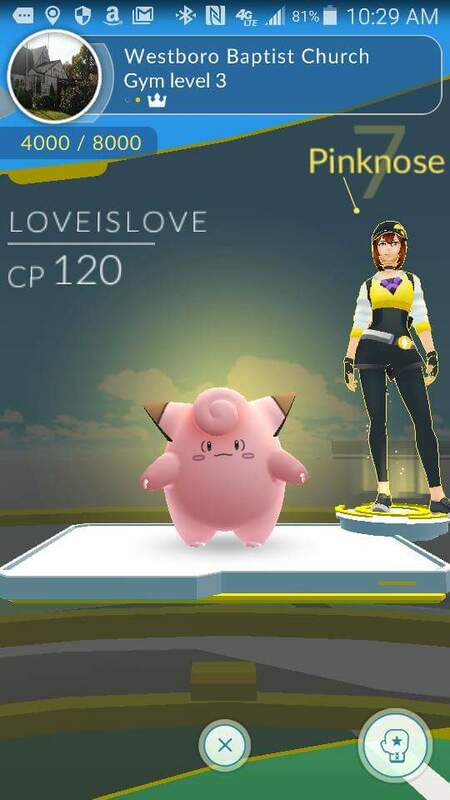 I haven't played, but I'm pretty sure if you walk to a gym you can battle, and I think you can battle other trainers as well, since you can see them on your map (which is how people keep getting mugged). (which is how people keep getting mugged). This seems like a much more time consuming method of finding people to mug vs. picking them at random. Unless if you can tell thy have spent tons on the game you could assume that they will have good stuff to steal. At a minimum you get their phone. The iOS app seems pretty crappy, at least the registration process. Caught a Pokemon tho so it works. Ya I never played Pokemon before, but wanted to see what this was all about. I just got back from a long walk trying to catch pokemon. I got my daughter really into it, so I don't look as dorky trying to catch them.